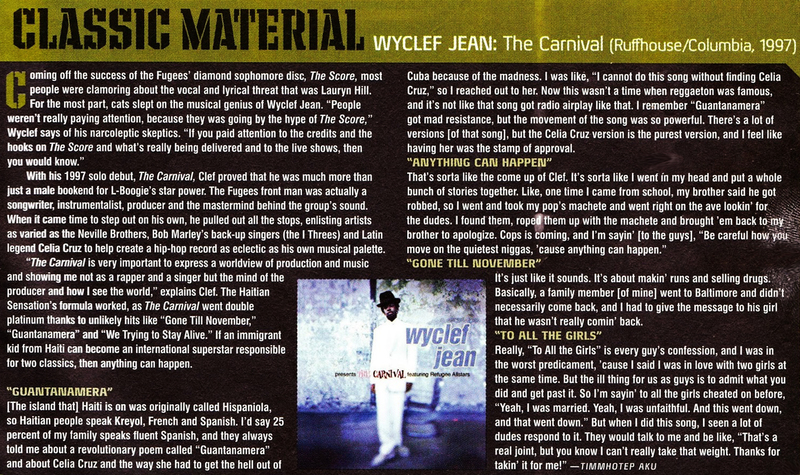 Perhaps an interesting choice to touch on Wyclef's debut here, but listen ... I have very fond memories of the Fugees' smash 'The Score' and even Salaam's portion of 'Blunted on Reality.' When the summer of '97 hit, it was Wyclef's 'The Carnival' - not the whole album, but definitely the front end of the project got a ton of burn. The production on "Apocalypse" and the crossover anthem "Guantanamera" gave me lots to discuss with the Cuban family I was staying with while working a night job in Manhattan between semesters in college. You can't deny Clef's talent as a "writer, instrumentalist, producer and mastermind behind the group's sound." 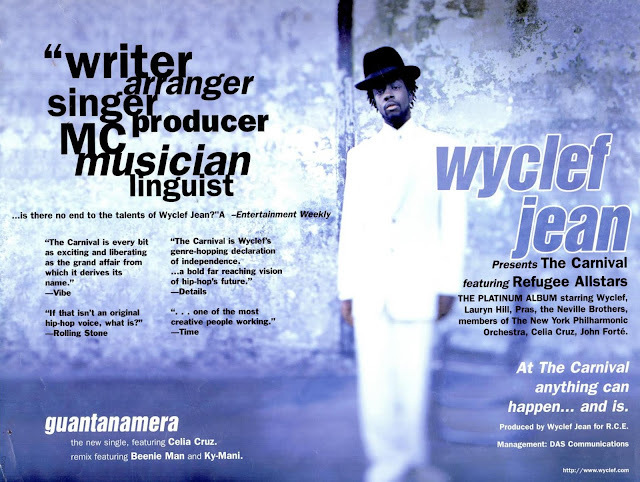 Sure enough, the album went double platinum & even if "Gone Til November" and "We're Trying to Stay Alive" weren't MY favorite tracks on the album, he had a fresh blueprint and "if an immigrant kid from Haiti can become an international superstar responsible for two classics, then anything can happen." Word. Read more below & salute to Salaam Remi and Warren Riker for the incredible mixing & mastering on the project. Much love to L Boogie. Enjoy the nostalgia.